Nathan Davis, a tenor and soprano saxophonist, flutist and clarinetist who built a reputation as a jazz musician in 1960s Europe before returning to the U.S. to establish the jazz-studies program at the University of Pittsburgh, died early Monday morning at a hospital in Palm Beach, Fla. He was 81. His death was confirmed by Sharon Blake, communications manager at University of Pittsburgh News Services. Blake reported that Davis died of natural causes. A protégé of Kenny Clarke, Davis worked a long stint with the drummer in Paris. He also worked with multireedist Eric Dolphy, trumpeter Woody Shaw and drummer Art Blakey before beginning his own career as a leader in 1965. However, it was his four-decade career as an educator at Pitt that was his major legacy. Nathan Tate Davis was born in Kansas City, Kan., on Feb. 15, 1937. As a teenager he worked as a taxicab dispatcher, enabling him to buy his first tenor saxophone at 14; a year later he played his first gig in a trio. After earning a bachelor’s degree in music education from the University of Kansas, Davis joined the U.S. Army, spending two and a half years in Berlin, West Germany, as a member of the Army Band. After his discharge Davis remained in Europe, moving to Paris in 1962 upon being invited to join Clarke’s band. He remained with Clarke for seven years, playing nightly with the bebop innovator and with the many international jazz stars who sat in with Clarke when they came through Paris. Davis and trumpeter Donald Byrd also joined Dolphy’s band in June 1964, the final month of the avant-garde legend’s life. Davis then enlisted Dolphy’s protégé Shaw to play on his first album, 1965’s Happy Girl. That same year, Davis toured Europe with a version of Blakey’s Jazz Messengers. In 1969, at the urging of jazz-education pioneer David Baker, the University of Pittsburgh recruited Davis to create a jazz-studies program there—only the third such program in the U.S. He eventually built the fledgling program into one of the pillars of the university’s arts and sciences curriculum, including an annual jazz seminar and concert, a digital recording studio, the Sonny Rollins International Jazz Archives and the International Academy of Jazz Hall of Fame, all founded by Davis. His introduction to jazz-history class was one of the university’s most popular. After receiving a doctorate in ethnomusicology in 1974, he introduced that discipline to Pitt as well. Davis retired from the university in 2013, the same year he received the prestigious BNY Mellon Jazz Living Legacy Award. Davis’ career as a musician continued during his years as an educator. He followed the spiritual-jazz path of John Coltrane, as on his most acclaimed recording, 1972’s The 6th Sense in the 11th House; recorded jazz-funk, as on 1976’s If, a cratediggers’ favorite; and worked in the late 1980s as a member of the Paris Reunion Band with Shaw, pianist Kenny Drew and tenor saxophonists Johnny Griffin and Joe Henderson. 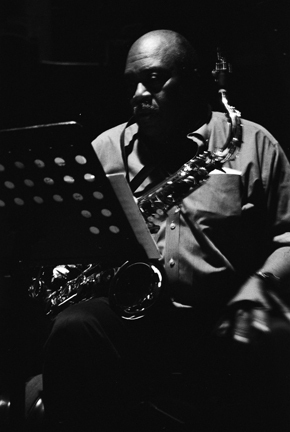 In the 1990s he formed an ensemble, Roots, with saxophonists Arthur Blythe, Chico Freeman and Sam Rivers. Davis brandished a haunting legato sound on tenor, with deceptively careful dynamics that could range from blasting sheets of sound to a soft balladeering voice. His final recording, I’m a Fool to Want You, was made in 1994 but released in 1999. Davis also composed a jazz-inclusive opera based on James Baldwin’s novel Just Above My Head; it premiered in Pittsburgh in 2004. He is survived by Ursula Broschke-Davis, his wife of 55 years, and two children, Joyce Davis and Pierre Marc Davis.